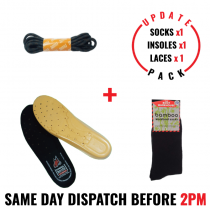 Redback Original Replacement Footbeds - Extra Comfort Insoles. Insoles Innersoles Footbeds! 100% Lambswool Warm Comfort! Foam Latex Backed!